The mobile web has become mainstream, not all websites have kept pace with the eager throngs of mobile shoppers. After all, mobile traffic is projected to surpass desktop traffic by 2015 — the stakes couldn’t be higher for optimizing your site for mobile. When a mobile user reaches your site, what is his or her experience? Is it as smooth as it should be? Are there images that won’t load? Text that’s too small or too big? Do users have to scroll right, then down, left and back up to find everything? Never assume your traditional website renders well on mobile displays. A missed opportunity can cause brands to lose out on key opportunities and relationships. As with any marketing effort, gathering metrics is the best way to determine what needs work when it comes mobile site performance. Before you can gather metrics, you need to know what to measure. Let’s start with the most popular analytics tracking software: Google Analytics. Google’s digital marketing evangelist Avinash Kaushik organizes metrics into three groups (acquisition, behavior and conversion), which reflect the high-level purchase or conversion process of a web visitor. By tracking each set of metrics for both mobile and desktop, overall traffic patterns emerge. You’ll begin to understand mobile performance in comparison to desktop performance. 1. Acquisition: The following three metrics track user acquisition from various sources. These represent the top end of the conversion funnel. Check all metrics across both mobile and desktop use. Visits: How many people visit your website from either mobile or desktop? Unique visitors: How many different people visited your website? Pageviews: How many times was a page on your website viewed? When comparing mobile and desktop performance, it’s important to realize that desktop is still the most prominent way to view websites. Therefore, people visiting on a desktop will view slightly more pages. The most interesting tracking you can do is to observe how acquisition metrics change over time. Is mobile traffic growing on your site? Is overall traffic growing on your site? How is the ratio of mobile to desktop traffic changing? 2. Behavior: The next three metrics track user behavior, providing insight into whether a site moves users toward the outcomes it was built to achieve. Pages per visit: How many pages are viewed during a single visit ob mobile vs. desktop? Time on site: How much time does each visitor spend on your mobile website? On your desktop site? Bounce rate: How quickly do mobile/desktop users turn away when they hit the site? Google explains how to understand user modes on mobile. The company classifies mobile users into three categories of interaction. Understanding your mobile visitor’s “user mode” sheds more light on your behavior metrics over time. For example, a “bored now” visitor wants to be entertained; therefore, longer time on site indicates a satisfaction of that need. By contrast, a “repetitive now” visitor can have a high bounce rate, short time on site and low number of pages per visit, but it’s still a successful interaction. 3. Conversion: The last two metrics – conversion rate and average order size – track user conversions and the value of each of those conversions. These numbers show how visitors on both desktop and mobile contribute to an ecommerce site’s bottom line. Conversion rate: How many visitors take the next step, whether to purchase, register or request more information? Average order size: For ecommerce conversions, what’s the average dollar amount per order? Most sites typically find that visitors on the desktop convert at a higher rate than mobile visitors. This is to be expected, as mobile web purchasing is relatively new and habits take time to establish. Additionally, the velocity of purchases is significantly faster when a consumer is aided by a mobile device. Microsoft research found that shoppers who research products on their mobile devices are ready to buy; 70% take action within an hour, but 70% of people on desktop PCs take action within a week. Any analysis of mobile performance has to factor in the tablet, which has quickly emerged as the third digital screen in consumers’ lives, in between desktops and smartphones. While smartphones are used on the go, at work and throughout the day and evening, the tablet is a lean back device frequently used at night. 7 Fixes for Common Mobile Phones Troubles !! Being a constant companion, our cellphone is prone to accidents. It’s not tough to accidentally drop your cellphone on stairs, or from a table, or spill water on it. Then begins the nightmare of taking it to the company’s workshop. However, do you know if the damage is not much, there are some simple ways by which you can fix your mobile phone all on your own. So here is a list of simple quick fixes for cellphones. Accidentally dropped your phone inside a water pool? It is almost dead. Chill, there is still a chance to revive it. Just remove the battery cover and put the phone in a plastic bag of dry rice. This may help you soak out the water from your phone. You can also put the bag out in sun for quick evaporation. Looking for an important email, and the trackball on your smartphone just refuses to scroll. It’s dust and dirt. Just like in a computer mouse, dust and dirt also make the movement of your trackball tardy. Just soak alcohol in a cloth and rub it over and around the trackball. Another way can be to pop out the trackball and clean it manually. An aging cellphone can often give tough time charging the device. Also, charging connector within the phone also at times gets damaged, loose or corroded. For mild corrosion, scrubbing the connector with a soft brush or a cloth soaked in alcohol can help. However, for damaged or loose connector one needs to visit the repair centre. Got scratches on your mobile phone’s body, there is a simple way to get rid of them. Just do a light buffing with fine sandpaper. However, this may affect the shiny coating of your phone. Take care!! Scratches on your phone’s screen gives you a tough time reading? Applying metal polish with a soft cloth may help here. Special scratch removal liquids and gels are also available. Your phone often hangs? It simply refuses to respond. Here the first step is to switch off the device and power it again. In case this does not work, remove the battery and reboot it. Another way to restore it is to try connecting it to your computer. Also, look for instructions in your phone’s settings or menu. It might help. Your phone’s case got cracks. But its working, so all seems to be fine. Not really, continuing with a phone with a cracked case can be damaging for your phone in the long run as it exposes your phone to dust and water. 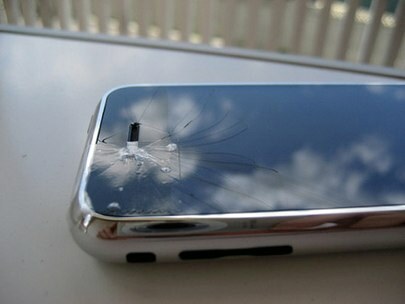 To protect it from further damage go for a close-fitting case. Off-course there is other major damages which happens to phone which we need to work with a good mobile technician rather than spoil it out ourself. How to Stop Advertisement Calls on your Mobile Phones ?? & How to trace Mobile numbers ?? Finally you can work in Peace… 8). You can not only trace mobile number but also your Vehicle number, Pincode, etc..
Hope this helps, catch you on my next blog..